As 2015 draws to an end, lots of couples have started counting down to their wedding anniversaries next year including our celebrities who walked down the aisle this 2015. Some of our Nigerian celebrities had jaw dropping wedding ceremony while others chose to have a small wedding with just a few in attendance. Some were long awaited while others came as huge surprise to us. This is just a checklist of some celebrities who tied the knot this year-2015. 1. 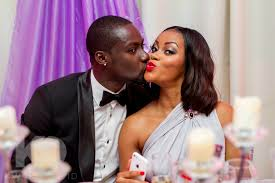 Chris Attoh and Damilola Adegbite (February 14): Known as one of Nollywood's hottest couple, Attoh and Adegbite had a low key wedding ceremony on Valentine's day. The Ghanaian actor popped the marriage question in 2014 before the birth of their son in September. 2. Onyinye Carter and Bosah Chukwuogo (April 18): The MUD cosmetics CEO and her IT guru beau got engaged in December 2014. Their wedding was well attended by celebrities including top Nollywood actress, Genevieve Nnaji who is also Onyinye's best friend. The couple are currently expecting their first baby. 3. Ivie Okujaye and Ezie Egboh (April 18): The Amstel Malta Box Office alumnus and her husband had a wedding to remember. From Ivie dressing in snickers and wrapper at the traditional wedding ceremony to performing a complete split during couple's first dance shortly after exchange of vows at the church. 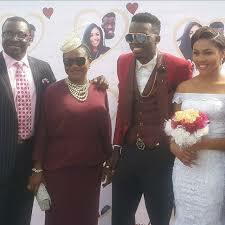 The actress surely wowed invited guests who had turned up to celebrate with the couple. 4. 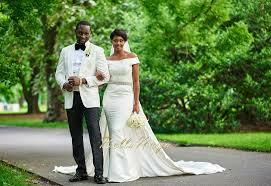 Gbenro Ajibade and Osas Ighodaro (July 4): The ex-Tinsel actor and actress tied the knot far away in New York. 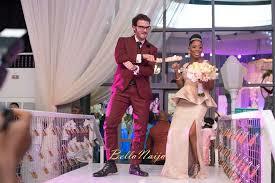 The couple got engaged in 2014, had their traditional wedding in Benin City, Edo State capital. 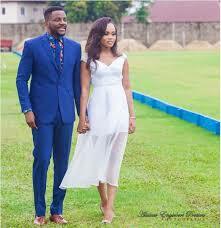 Gbenga and Osas' nuptials was one of the most anticipated in 2015. 5. 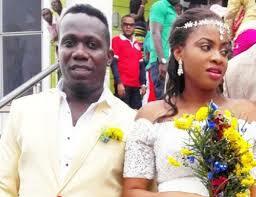 Duncan Mighty and Vivien (July 25): Many celebrities gathered in Port Harcourt, Rivers State capital for the wedding ceremony of the singer and his bride in July. 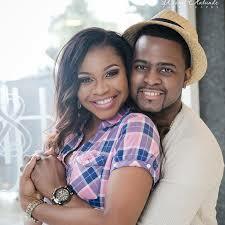 The self acclaimed 'first son of Port Harcourt' proposed to Vivien in 2014. The couple welcomed their baby boy in November. Barely six months after the Hollywood hunk popped the marriage question in April, Mofe and Jessica tied the knot traditionally and religiously in August. 7. Tonto Dikeh and Churchill Olakunle Oladunni (August 29): No one can say when the Nollywood actress and her husband got together but it wasn't news that Tonto constantly called herself 'Mrs X'. Mr X finally put a ring on it (actually a yellow canary diamond ring) and along with showing off her beautiful ring, her mystery fiancé was also revealed on her Instagram page. The pair had their introduction ceremony early in August and traditional marriage at the end of the month. Sources say the church wedding may be happening soon and her stylist Mr Swanky Jerry is most likely to be her maid of honor. 8. Ebuka Obi-Uchendu and Cynthia Obianodo (October 3):The TV personality got social media buzzing when he proposed to his fiancée of two years in April. Ebuka and Cynthia had their traditional wedding in October at his wife's hometown in Anambra state and released their pre-wedding photos much later. We can't wait for the white wedding of these two. 9. Rotimi Alakija (DJ Xclusive) and Tinuke Ogundero (October 3): One of Nigeria's most handsome celebrity DJs tied the knot with his lady love after a one-year engagement. 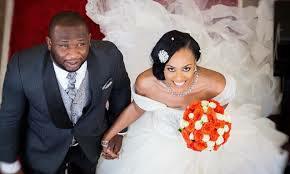 Alakija and Ogundero had their traditional wedding on October 1 and their white wedding two days later. 10. 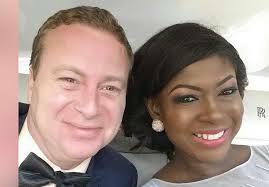 Susan Peters and Koen Croon (October 10): The Nollywood actress' wedding to her Dutch lover came as a surprise to her fans. Peters and Croon got engaged in December 2014 and had their traditional and court wedding ceremony in October attended by close friends and family. 11. Dolapo Oni and Adegbite Sijuwade (October 10): The TV gal's wedding to son of the late Ooni of Ife was one of the most talked about nuptials in the last quarter of this year. 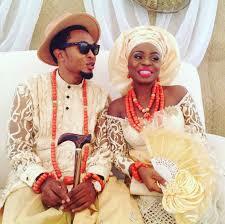 Oni and Sijuwade had their traditional wedding in August after a one-year engagement. The couple's white wedding took place in London. 12. 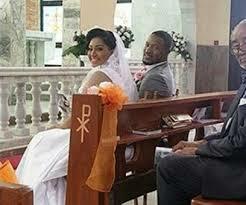 David Nnaji and J'odie (October 31): Their wedding was a surprise to fans who had no idea the pair were dating. The ‘Kuchi Kuchi’ singer and the Nollywood actor had a small traditional wedding ceremony at the bride's hometown in Warri, Delta state attended by close friends and family members. 13. 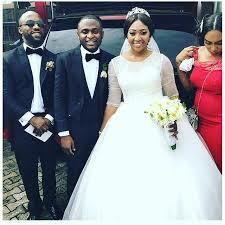 Lilian Esoro and Ubi Franklin (November 1): The Nollywood actress and Triple MG CEO had one of the most talked about celebrity weddings in 2015. The pair got engaged early this year and after much controversy, had their introduction in August. 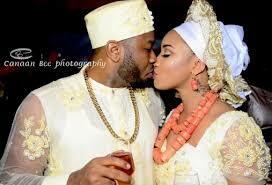 Ubi and Esoro finally married in a traditional ceremony on October 30 and had their white wedding November 1. 14. Akpororo and Mary Josephine Abraham (November 14):The popular comedian and his beautiful bride tied the knot in November after a funny church proposal three months before. 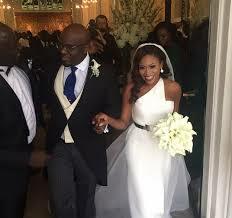 Akpororo and Mary's traditional and white wedding ceremonies were graced by personalities from different walks of life. 15. Tosyn Bucknor and Aurélien Boyer (November 15): On-Air-Personality and her French beau sealed the deal last month after two years of dating. Bucknor and Boyer's interracial wedding was Paris-themed hence the hashtag #yorufrench2015. Boyer is fondly called ‘Omowale Ajala’, proposed to the entertainment industry's 'Area mama' while on a romantic getaway in Corsica, France.